Until the 3rd May, we’re paying even better prices for the CDs our customers have been trading most. 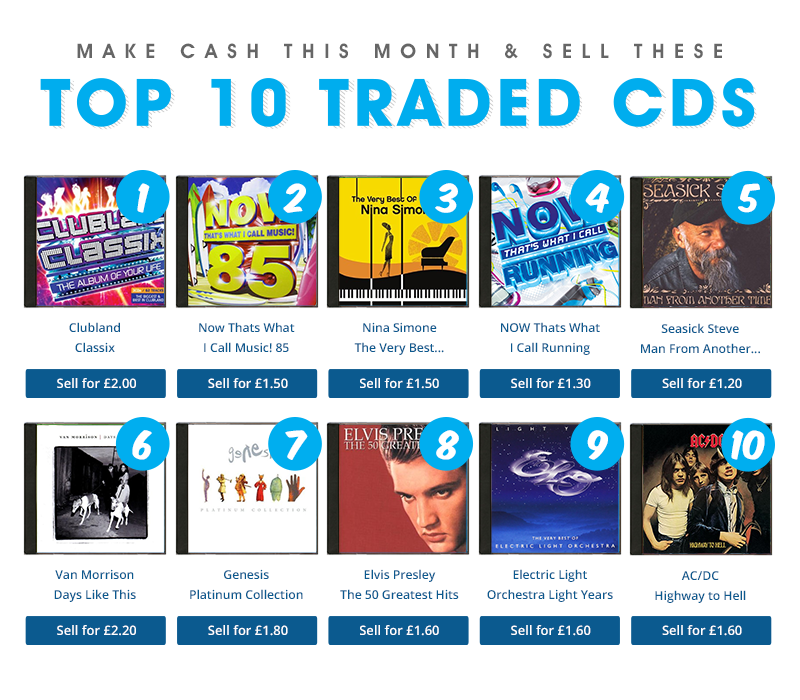 Check out the top 10 CDs our customers have been selling below! Check out what else our customers have been selling – and the prices we’re paying until the 3rd May – below! ← We’re paying more for these Top Traded DVDs for a limited time!